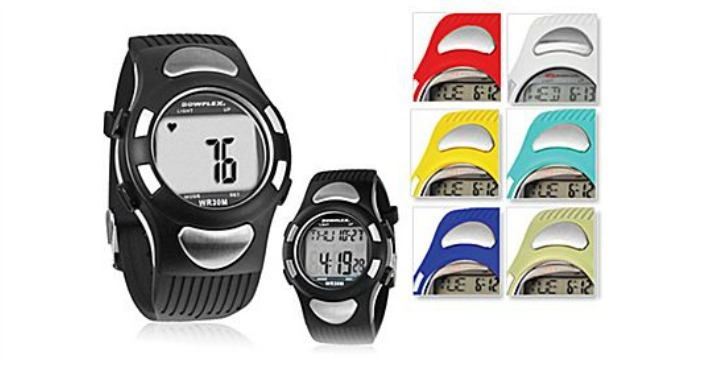 Bowflex EZ Pro Heart Rate Monitor Watch Just $7.99! Down From $130! You are here: Home / Great Deals / Bowflex EZ Pro Heart Rate Monitor Watch Just $7.99! Down From $130! Staples has this Bowflex EZ Pro Heart Rate Monitor Watch on sale for $7.99 (Reg. $130)! Plus you can get FREE shipping on orders over $14.99 and 5% back in rewards if you are a Staples Rewards Member or you may be able to FREE in-store pickup! The Bowflex EX Pro watch features heart rate, time and stopwatch functions. In addition it is water resistant to 100 feet while the EZ Pro Heart Rate Monitor comfortably rests on your wrist. The watch style strap is offered in many colors to add style. Backlighting illuminates the display in many lighting conditions so it is easy to exercise in many environments.